Punch! CAD » ViaCAD & Shark » General » Is the smart licensing no longer a part of SharkCAD? Is the smart licensing no longer a part of SharkCAD? On the new Punch website i can read nothing about. The licensing has not changed on the SharkCAD products. What are you referring to when it comes to the "Smart" Licensing. What are you referring to when it comes to the "Smart" Licensing. And where is the link to the forums on the website? Is this the final version? And why is the product Matrix https://www.punchcad.com/punchcad-product-matrix a top secret link because not found on the new website? ViaCad products can only be installed on 1 computer, period. And why is the product Matrix a top secret link because not found on the new website? yes but this information are not on the new website. sorry i am blind sometimes. I guess there will be no german version of shark 10. Will there maybe a german version of shark 11? I have no problems with the english version, i use it just for learning english at the same time. :) Viele Grüße und ein gutes neues Jahr. I guess there will be no german version of shark 10. Will there maybe a german version of shark 11? Customers of us can obtain the German localization of the software (which we do develop amd maintain since 2003) simply by request (serial no req.). The help system (?-button at tool ribbon) and the documentation (manual & ref. card in help menu) as well as the accompanying stuff (templates, materials, symbols etc.) are currently not included. See I'm not sure. I have windows 10 and 7 dual boot. Shark 10 installed on windows 7 fine. Tried installing in windows 10 and it's having non of it. ... Tried installing in windows 10 and it's having non of it. Same with version 11. Will not register. what exactly does this mean? ...error messages? ...be descriptive! Well with Shark, I type in all the serial numbers etc, click register and its says something about code isn't correct for version or something, can't quite remember but it's V10 and all the same stuff I use for Windows 7 set up. And with V11, it just throws up a fail to register error. Oh and also the Shark 10 version I have comes with Powerpack, and this doesn't show in the menu either. 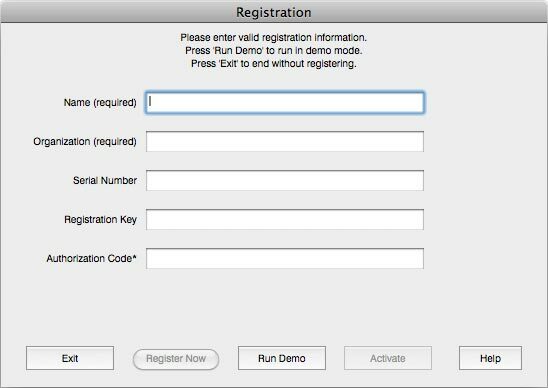 in general; for registration on a new system or a system with changes of the hardware or operating system, an existent authorization code will not work, i.e. a new authorization code is required. Powerpack not showing in the menu is a bug and requires an update to fix, Todd Quinlan is able to fix this. Yep did all that and it didn't work, and like I say didn't load the powerpack.